The world’s leading watch brands are dialling things up at SIHH, the Salon International de la Haute Horlogerie in Genève, Switzerland. At Piaget’s booth, with a beach theme to help warm up visitors’ moods during a cold Swiss winter, actors Hu Ge and Michael B. Jordan, and entrepreneur Olivia Palermo checked out the company’s new jewellery and watch designs, and spoke at different times alongside CEO Chabi Nouri. The booth emulated a wooden deck with sand, while catering staff served cocktails and DJ Laila M’s tracks played in the background. Shine interactive windows displayed different times of the day. A VIP dinner will be served on Monday. 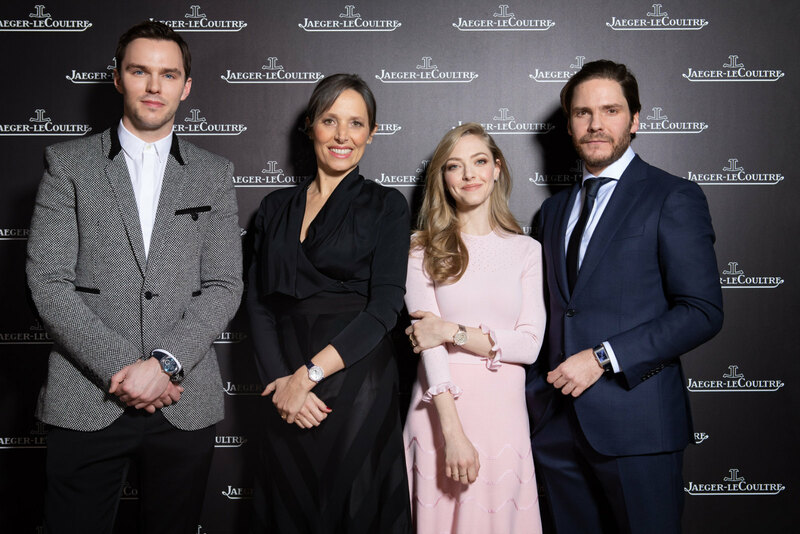 Over at Jaeger-LeCoultre, Amanda Seyfried, Nicholas Hoult and Daniel Brühl were the three celebrities heading to their SIHH booth, inspired by the Vallée de Joux forest that is linked to the company’s roots. Guests could interact with artisans in watchmaking, gem-setting, enamelling and guillochage. Each celeb promoted a different watch from the range: Seyfried with the Rendez-Vous Night & Day Jewellery watch, with a 36 mm case; Hoult with the Master Ultra Thin Perpetual Calendar; and Brühl with the Reverso Tribute Duoface during the day at SIHH, before changing into a Master Ultra Thin Moon Enamel for the evening. They joined Catherine Rénier, who was appointed CEO last May.